Compare these two jackets. Do they not look like they could be from the same designer, same season? 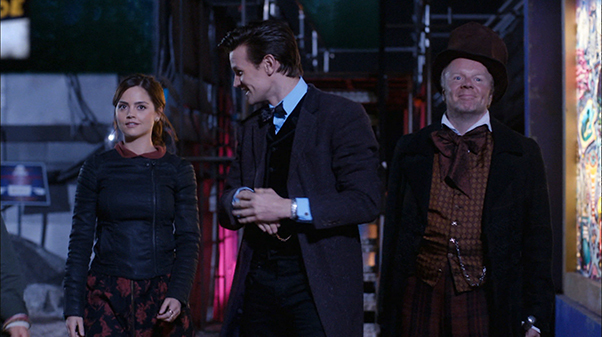 They’re not identical and Clara’s jacket in “Nightmare” looks blacker in most of the screenshots. 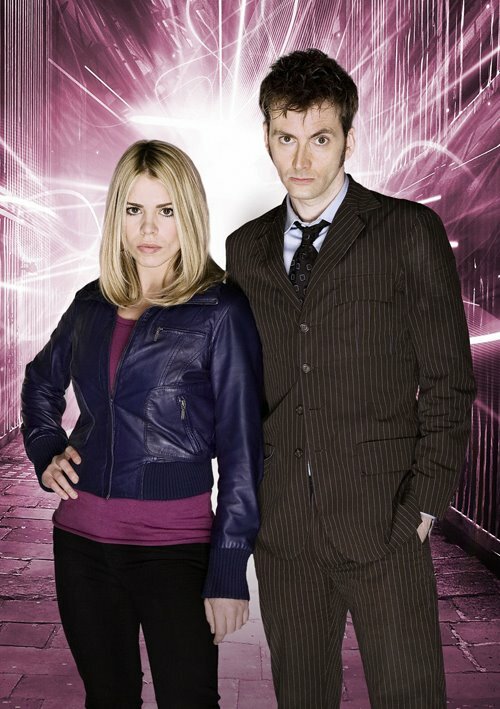 But My first thought when I saw the episode was that she was wearing Rose’s jacket. This whole season the designers, from props department to wardrobe, have been putting in little things we Whovians are taking as nods to Rose. Red dresses, purses, gloves, roses in vases or in Clara’s hair, etcetera. This is the first one that, on first look, screamed “Rose” to me. There has to be a Bad Wolf connection in here somewhere. Or, as Darren Franich put it on his recap of “Nightmare”, Clara’s a red herring and there is no mystery to be solved about her or this season. I wouldn’t put it past Moffat. One last thing to add, and I don’t have a picture for it. But when Eleven is playing chess against Mr. Clever there’s a moment where Clever is trying to convince Clara it’s Eleven she’s talking to and he goes on and on about how he’s starting to like her. When he asks how she knew it was Clever and not Eleven she says he would rather die than say it. He would rather die than say it. The Doctor never could bring himself to say it aloud to Rose, to say “I love you” to her. He would rather it go unsaid by him and let his meta-crisis clone say it in a whisper to prove they share the same memories. But it never got said for us Whovians to hear. And it wasn’t said until he absolutely had to say it. This isn’t to say she’s Rose. But if Bad Wolf knew all this future and seeded Clara throughout the Doctor’s timeline, couldn’t this be taken as a hint to the Doctor about what’s going on? Wow, your as smart as The Doctor!